A Swedish-manufactured crimp tool with scissors ratchet action, emergency release lever, and adjustable crimp force. Die sets are ordered separately as required. These are a two-piece precision-fit design, with two hex bolts for quick loading into the hand-tool. 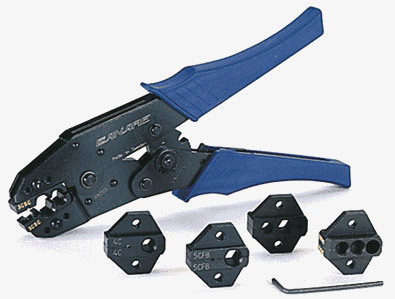 Please note that this crimp tool and dies are ONLY recommended for use with Canare connectors, and may not produce satisfactory results with connectors from other manufacturers.